FBI Special Agent Patrick Bowers's cutting-edge skills are about to be pushed to the limit when a young woman is found brutally murdered in Washington DC. Her killers continue a spree of perfect crimes in the Northeast, but with nothing to link them to each other, Agent Bowers faces his most difficult case yet--even as his personal life begins to crumble around him. WARNING: This book contains violence and graphic descriptions of disturbing crime scenes. It takes the reader inside the minds of psychopathic killers. If you like James Patterson, but are looking for a character who not only wrestles with evil, but also with his faith, than you may want to check out the novels which comprise the Bowers Files, written by Steven James. 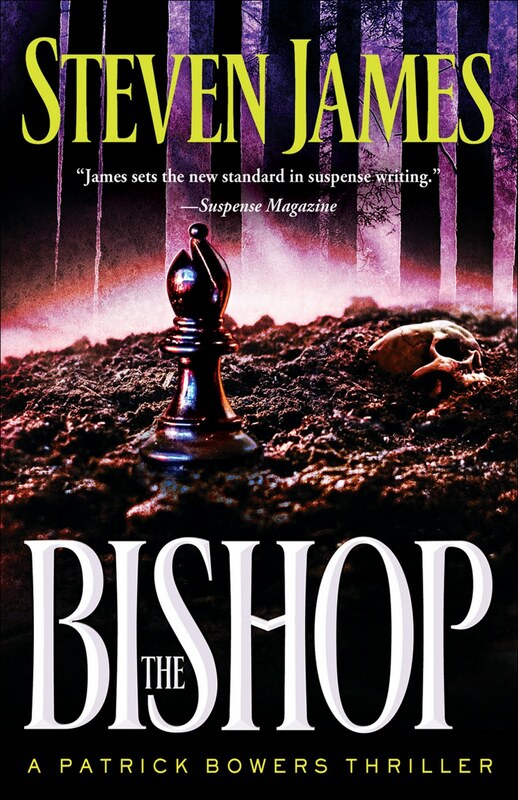 The Bishop, the latest book in the series is gripping. It pulls you in - leaving you wanting more and more. You want to keep reading to discover who or what is behind the evil which fills its pages. Surprising twists and turns along the way - along with a slightly cliff hanging ending - will leave you eagerly awaiting James' next book, which sadly, will not be available until 2011. While this was the first book I've read by James, (yes, again breaking my rule to jump into a series mid-book), I was able to read the book without much confusion - and it made me visit the local library to see what other books by James were on its shelves. (Unfortunately, it was book two, so now I've read book 2 and 4, but not 1 and 3 in the series....ugh). While the publisher provides a warning about the content - it is a bit graphic (but in reality, nothing more than Criminal Minds or CSI) - there should be another warning - do not start reading unless you have time to devote to its pages; because you may just not stop reading it - causing you to lose vital amounts of sleep. On a scale of 1 to 5, with 5 being the best, I'd definitely give this book a 4.5. I'd like to read the entire series in order - to completely grasp the character development I imagine takes place over the course of the series. 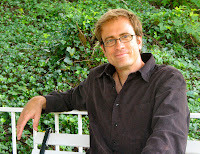 Critically acclaimed author Steven James has written more than twenty books, including the bestselling thriller series The Bowers Files. 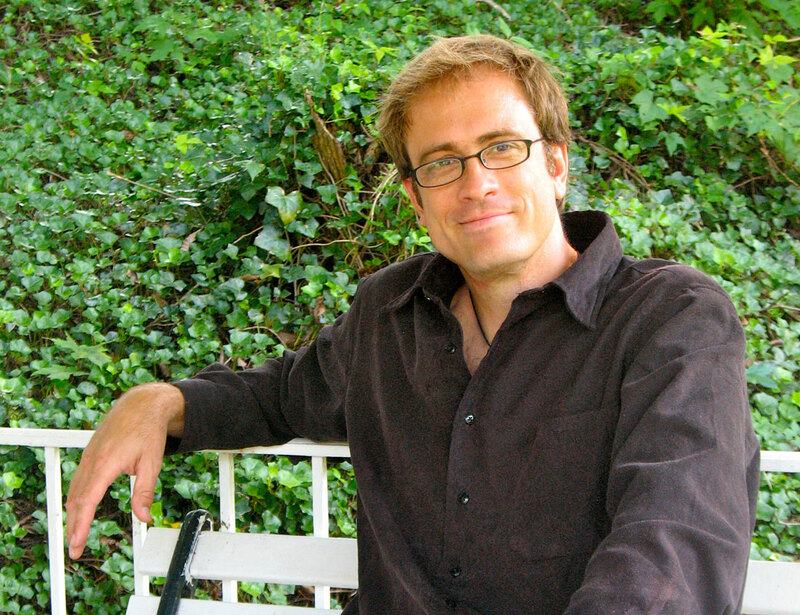 One of the nation's most innovative storytellers, Steven developed his skill as a performer at East Tennessee State University (MA in storytelling). He lives in Tennessee with his wife and three daughters. Find James on Facebook: Click here. *To attend the Facebook Party on August 4th, you will need an active Facebook account. Go to www.facebook.com to sign up. In my books I want people to look honestly at what our world is like, both the good and the evil. The evil in my books is not senseless; people’s lives are treated as precious and I want my readers to hurt when an innocent life is taken. The only way to do that is to let them see it on the page and then reflect on its meaning. 7. tell the truth about the world--exposing the grief and horror as well as championing the hope and joy. I believe that the Bible includes graphic material to show how far we as a race can fall, and how far God came to rescue us from ourselves. That's what I hope to do in my novels as well. To read the entire article from Steven James on this topic, visit his blog.